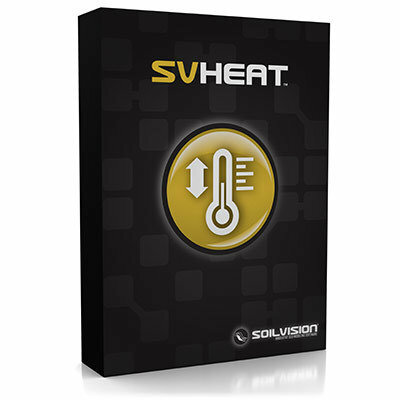 SVHEAT™WR is designed for the calculation of conductive and convective heat movement in saturated or unsaturated soils. The software implements the ability to handle water-vapor geothermal multi-phase flow and phase change with boiling and condensing. Advanced boundary conditions allow the accommodation of the injection or withdrawal of heat and fluids. SVHEAT™WR allows you to analyze steady-state or transient thermal conduction and convection models. Convection flow models may be created by coupling with SVFLUX™WR.